Pryme Group, which provides integrated manufacturing solutions, has announced the appointment of two experienced industry figures who will play key roles in the diversification of the firm into new sectors. Business development managers Steve Batsford and Geoff Harmer will be responsible for supporting growth in Pryme’s traditional service lines and beyond, while also promoting its capabilities for developing innovative, cost-effective solutions. 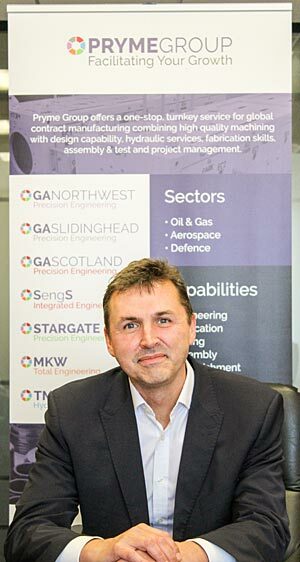 Steve has joined from precision engineering specialist, Nasmyth Group, where he was sales and business development manager, and brings a vast amount of knowledge and contacts within the aerospace industry. In his new role, Steve will be responsible for the development of sales in Pryme’s aerospace division. Geoff is an industry veteran, having led teams at several well-respected fabrication and machining companies in the north-east of England. During this time, he has successfully managed, developed and grown several specialist welding and fabrication divisions, which will considerably enhance Pryme’s existing service offering. These latest appointments follow a series of new hires at Pryme Group in recent months. The business has now added 15 people to its team over the past four months across sales, commercial, technical and administrative disciplines. The business, which currently employs 240 people in total, expects to achieve turnover of more than GBP 19 million for its April 2018 year-end – a projected increase of nearly 20% on the GBP 16 million it recorded this year.